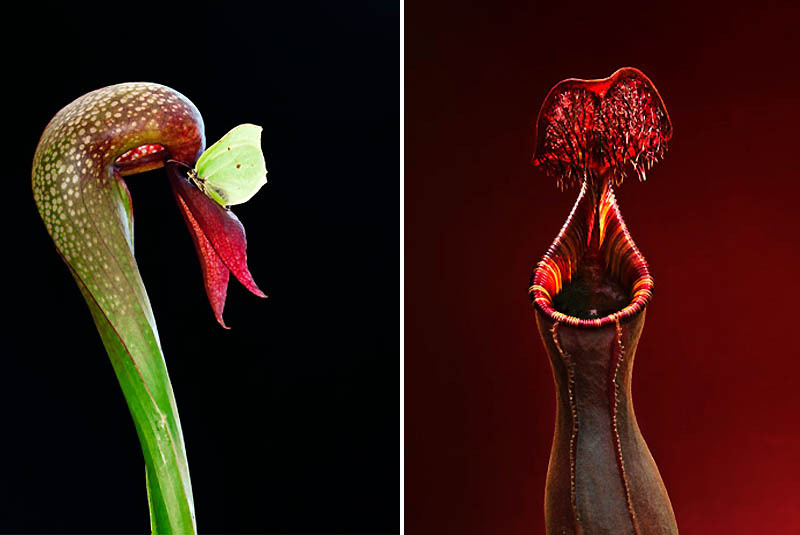 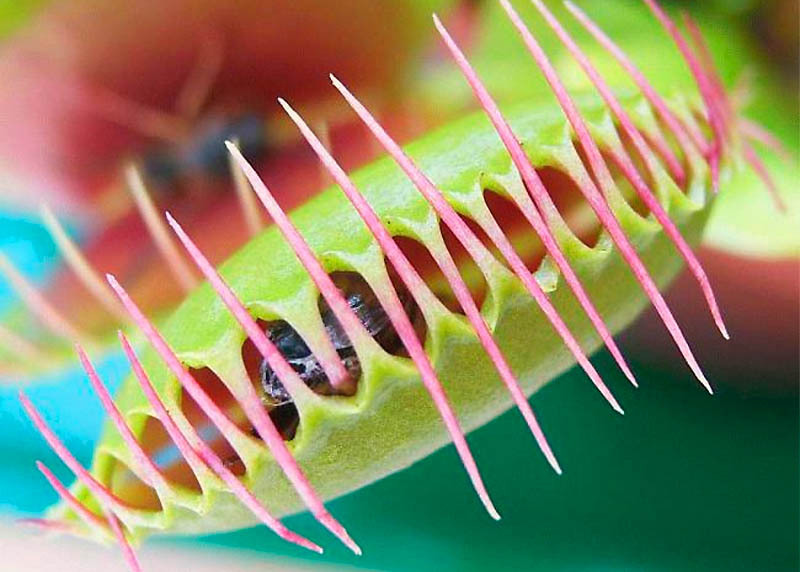 The poster-plant for botanical carnivores has got to be the legendary Venus Flytrap. 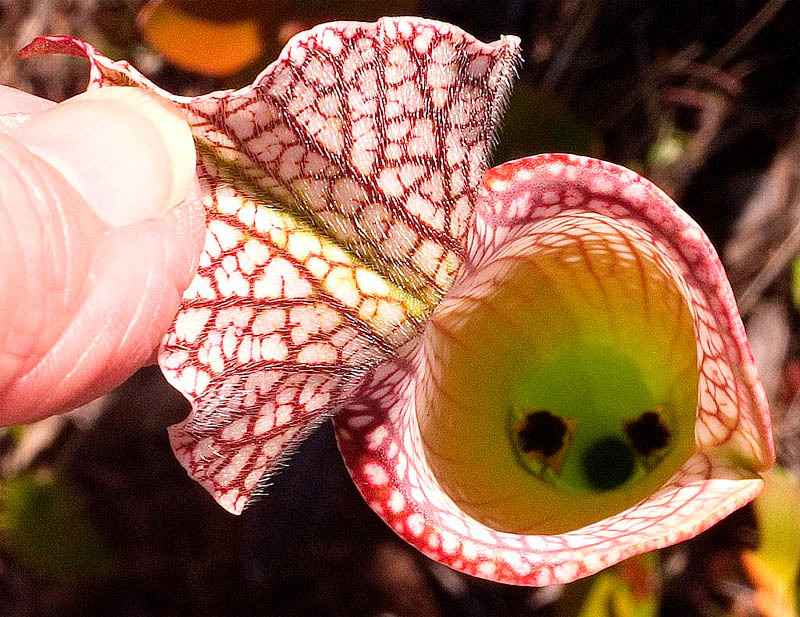 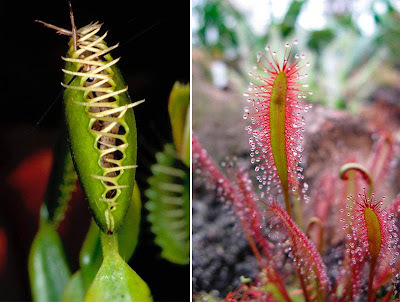 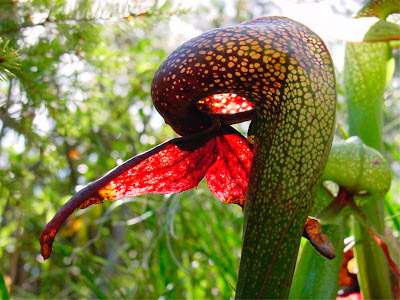 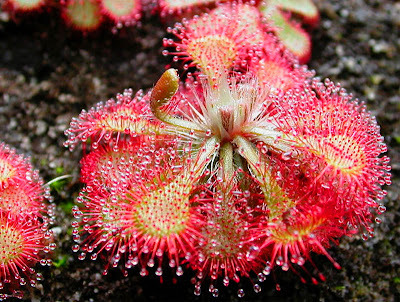 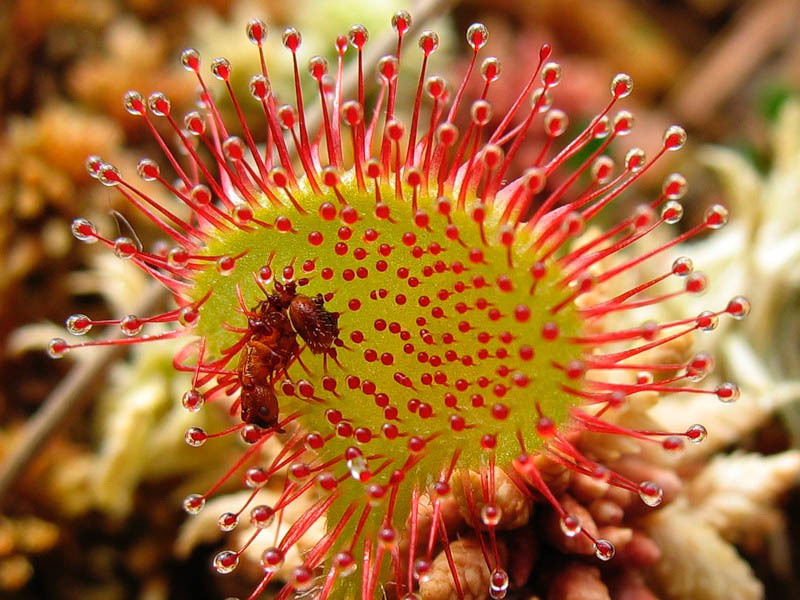 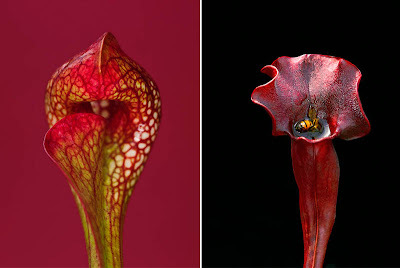 A resident of swamps and bogs, the flytrap has evolved a dramatic solution to its lack-of-nutrient diet: it catches flies – and pretty much anything big enough to get caught. 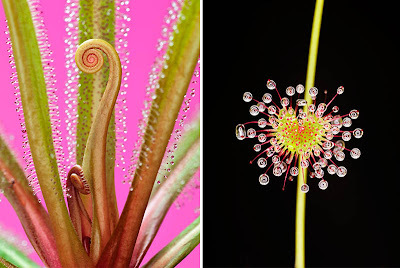 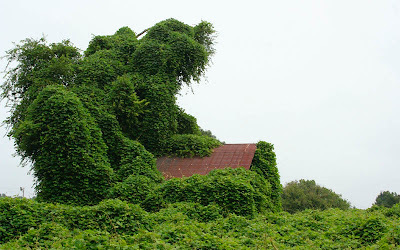 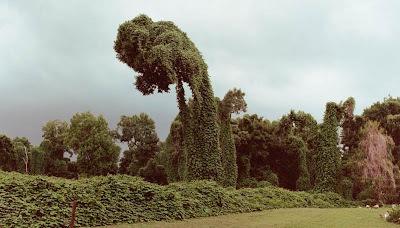 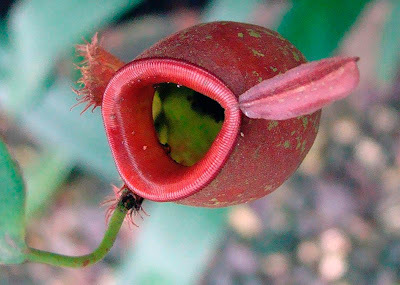 What's amazing about this plant is its mechanism. 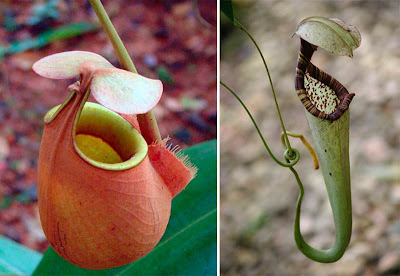 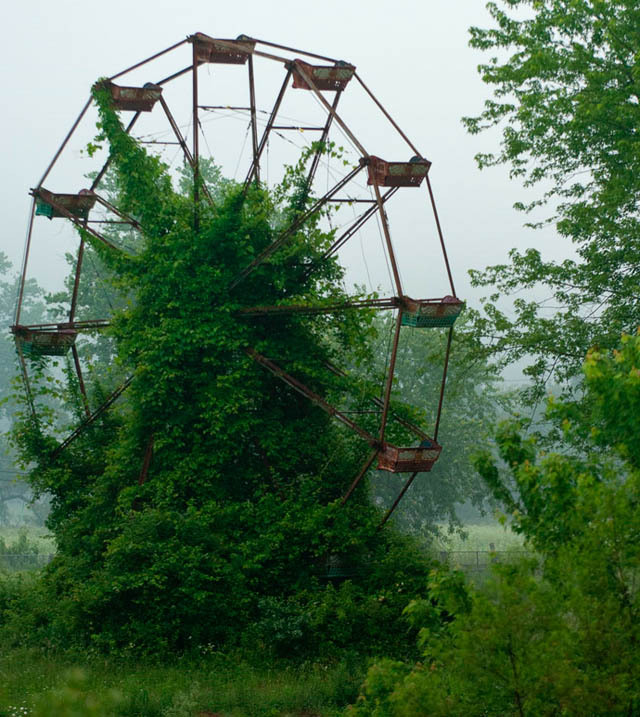 Anything that happens to stumble between the two halves of its unique mechanism will find itself in caught in a quickly-snapping-shut botanical bear trap. 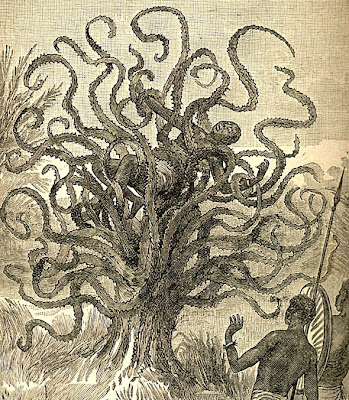 What's even worse is that after being caught the Venus then fuses those leaves together, turning them into a kind of stomach to digest its prey. 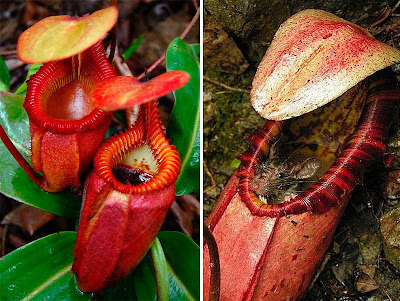 What's extra-fascinating is that the trap has two triggers, and that both of them have to be tripped for the leaves to snap shut, to avoid misfires.